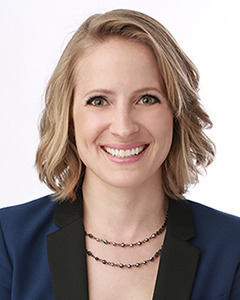 A lifelong Chicagoan, Kaari's real estate expertise is complemented by more than 15 years of professional experience in the event planning and marketing fields. Detail-oriented and results-driven, Kaari brings an unparalleled skillset and a deep knowledge of the Chicago market to her real estate clients. Having lived in a variety of Chicago neighborhoods (including South Loop, West Loop, Little Italy and Portage Park) as well as the northern suburbs, Kaari has vast knowledge of the Chicagoland area. Kaari's strongest suit is her ability to form long-lasting and meaningful relationships making her a natural partner to clients. (She's even earned professional recognition and awards for providing exceptional customer service.) Her innate ability to connect with clients enables her to ask the right questions and help identify needs, as she guides and advises them on how to best reach their real estate goals. "My ultimate objective is to provide an exceptional customer experience, whether you're buying, selling, renting, or just exploring the market. I take all of the guess work out of the home buying and selling process and walk you through each step while providing comprehensive real estate services." Kaari has a bachelor's degree in communication from University of Illinois at Chicago. She is a cycling and running enthusiast, and has completed two century rides and nine marathons. "Kaari was extremely knowledgeable and listened to my interests - she made what could be a stressful process seem easy! Her professionalism and attention to detail was very much appreciated!"